The theme of this edition is "The happiest day in your life". It all starts with the wedding day, then the birth of your children and later on with the days the grandchildren are born. Each of these occasions deserves a beautiful card. 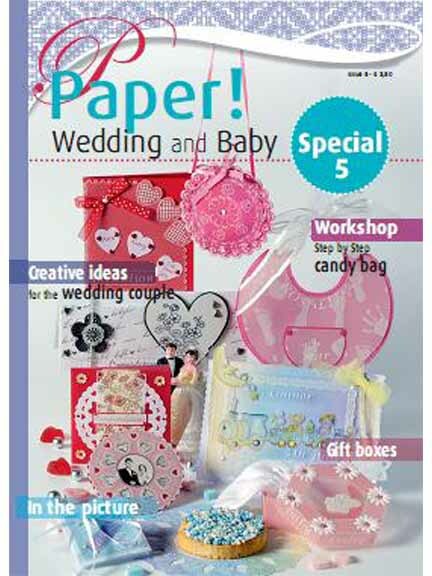 In this edition you will get more than enough inspiration to make such special cards, in addition to the cards, one chapter contains gift boxes, which can be used as a gift box for the wedding couple but are also very suitable as birth or wedding favours.